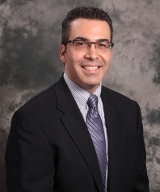 Gonzalo A. de la Melena, Jr. serves as the President/CEO of the Arizona Hispanic Chamber of Commerce, the leading advocate for the state’s more than 123,000 Latino owned businesses and operator of the Minority Business Development Agency in Phoenix. He is also the Founder of edmVentures, LLC, a small business investment firm with holdings in Sir Veza’s Taco Garage at Sky Harbor International and Phoenix airport concessions. Gonzalo has more than 20 years of global management experience. He began his career in consumer products with Coca-Cola Enterprises before joining The Dial Corporation, where he conducted business in more than 30 countries before he was 30. He serves as a member of The Corporate Advisory Board for JPMorgan Chase Bank of Arizona, Board of Directors - Fiesta Bowl, Thunderbird, The School of Global Management, the Global Council, and Valley of the Sun - United Way. He is a recipient of the Phoenix Business Journal’s 40 under 40 award and a graduate of Valley Leadership. Gonzalo received his MBA from Thunderbird, School of Global Management and earned his undergraduate degree in business from Arizona State University.